It has only been a day since I last update this blog but it feels like a long time already. I have pending posts (not required, just stuff I want to share to you guys) so I'm starting of with this. 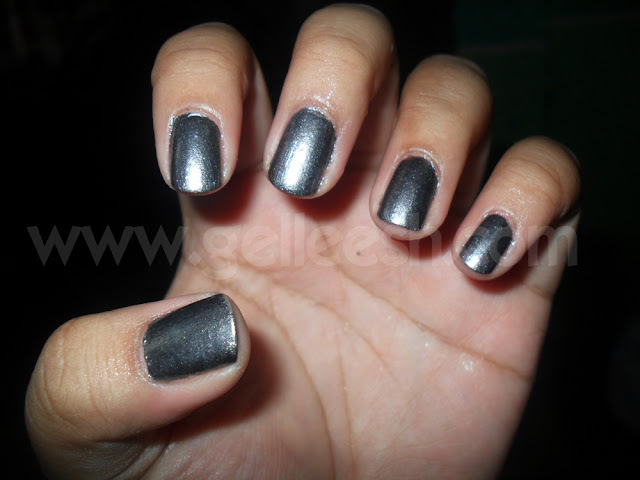 This is my nail of the week and I wore this during the Mario Maurer ENCORE, KYSS Anniversary party and the mini-Christmas Party with some of my officemates. First, Monday I was a guest at The Suplado Show! Yey! Will blog about that soon and also made a new friend through it. Tuesday I went to the The Encore by Penshoppe featuring Mario Maurer (kilig!) and then to the KYSS Anniversary party with my Minion friends. Thanks Queen B (@PublicityAsia)! Wednesday, I went out on a mini-Christmas party with some of my officemates; and now it's Thursday. I'd also soon be making a review, also, of the Snoe Gluta Powder Mask. I love its effect and it has really lighten my skin. Nope, it did not make my face ultra white cos it would look weird but it made my skin lighter in a natural way. love love love the color!!! !